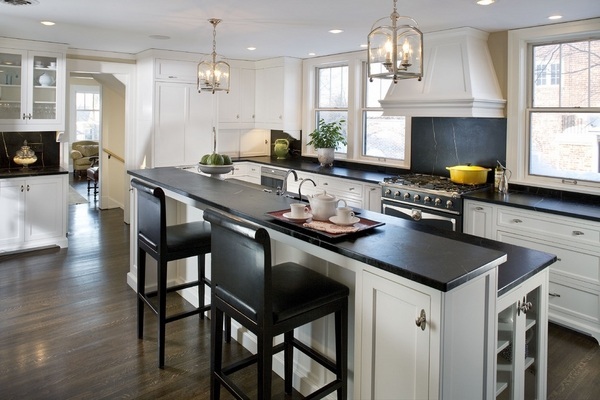 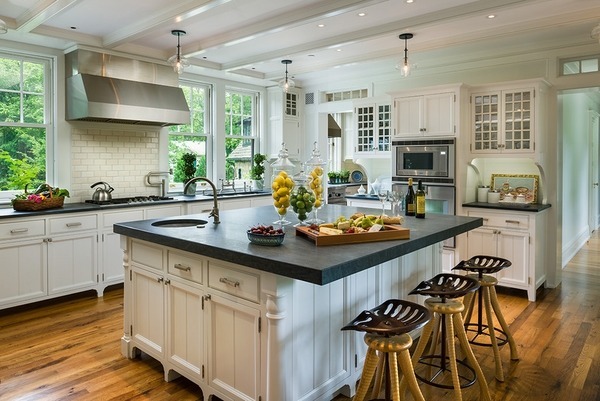 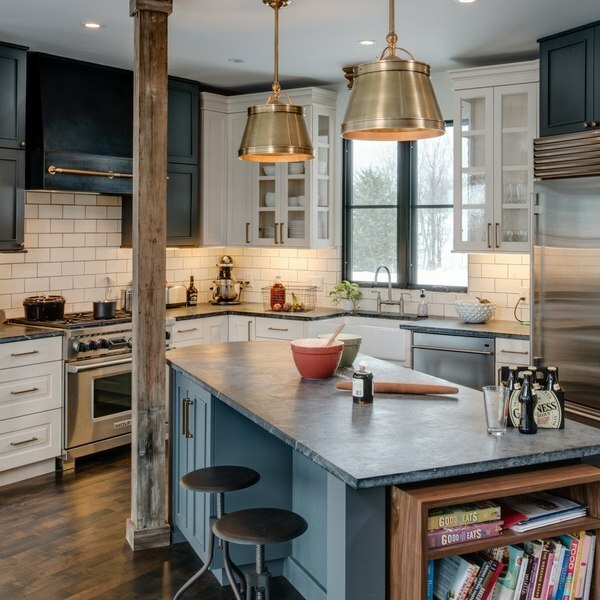 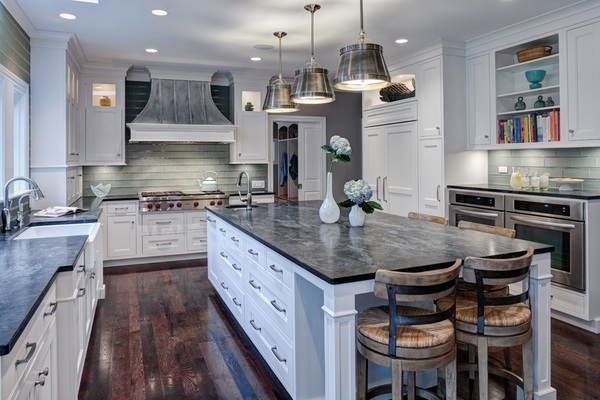 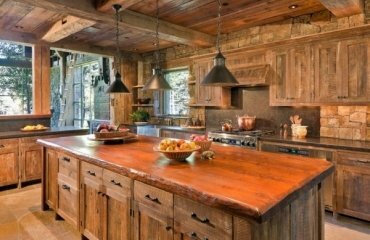 What is soapstone and why soapstone countertops are so popular? 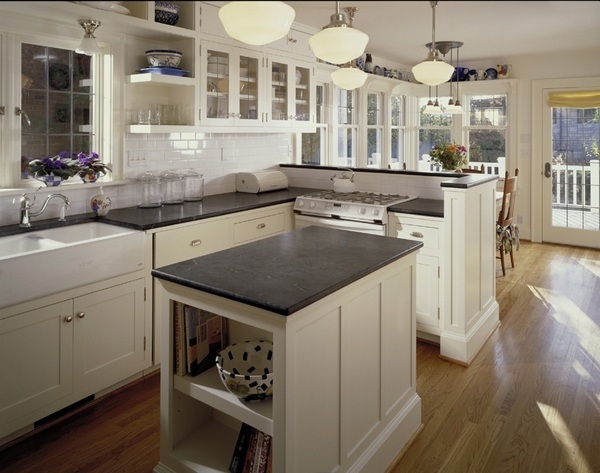 Soapstone is a metamorphic rock composed primarily of talc, and with varying amounts of chlorite, carbonates and other minerals. 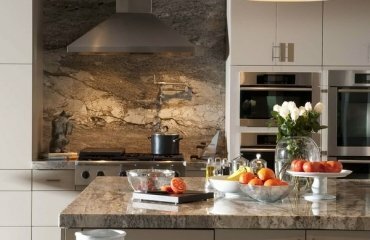 Due to the talc, the stone is usually very soft and the name describes the “soapy” feel and softness of the rock. 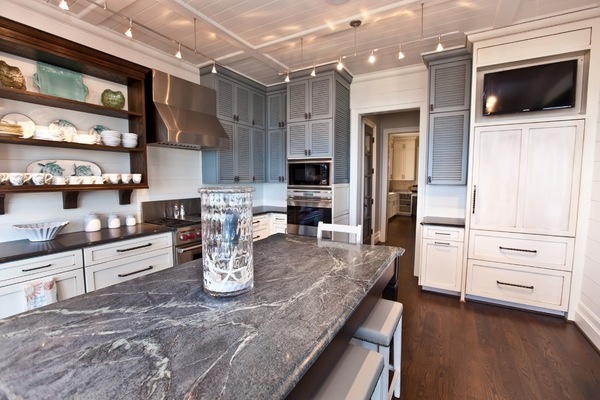 Gray is the typical color of soapstone but, bluish, green or brown shades and veins can be noticed at certain blocks. 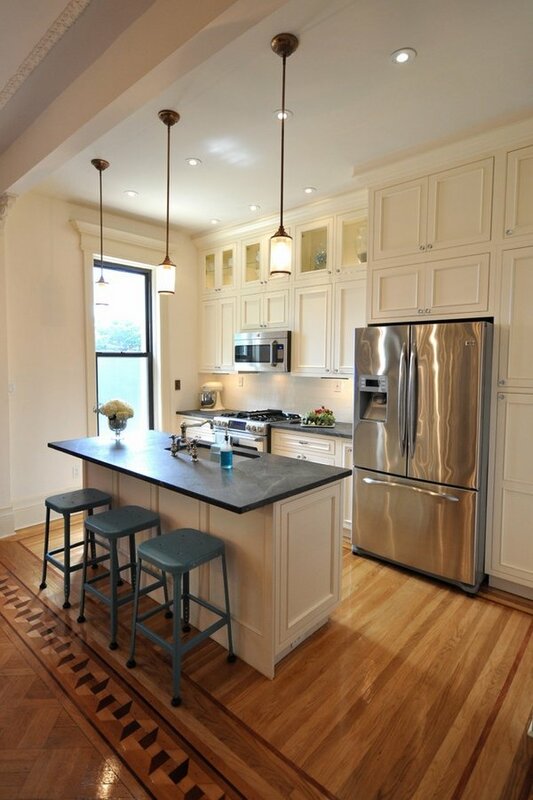 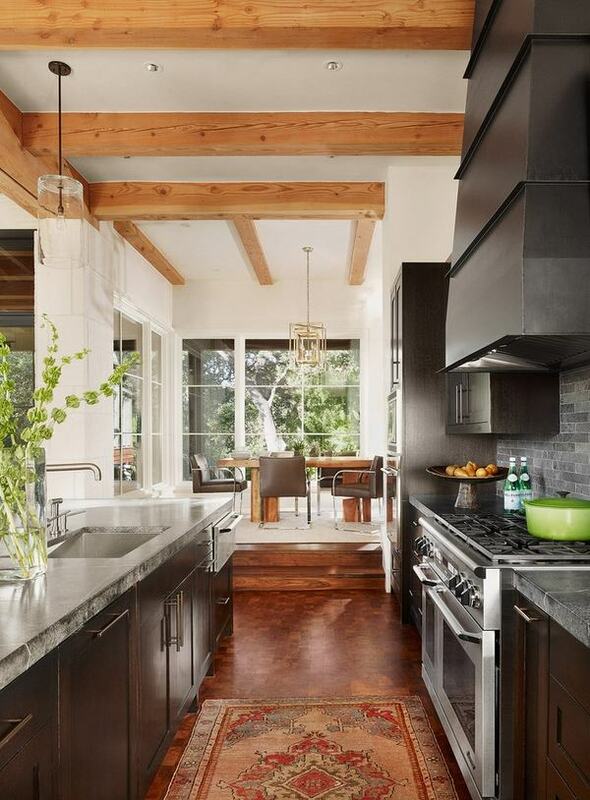 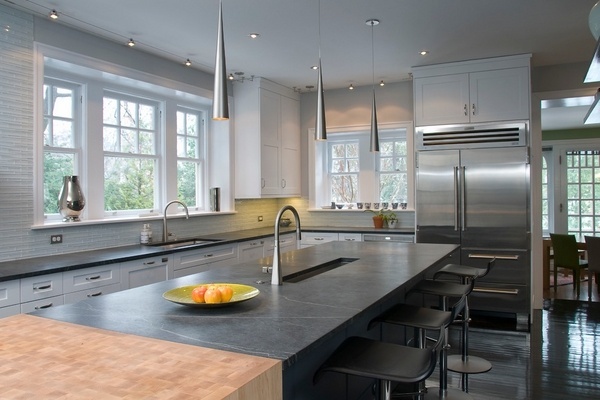 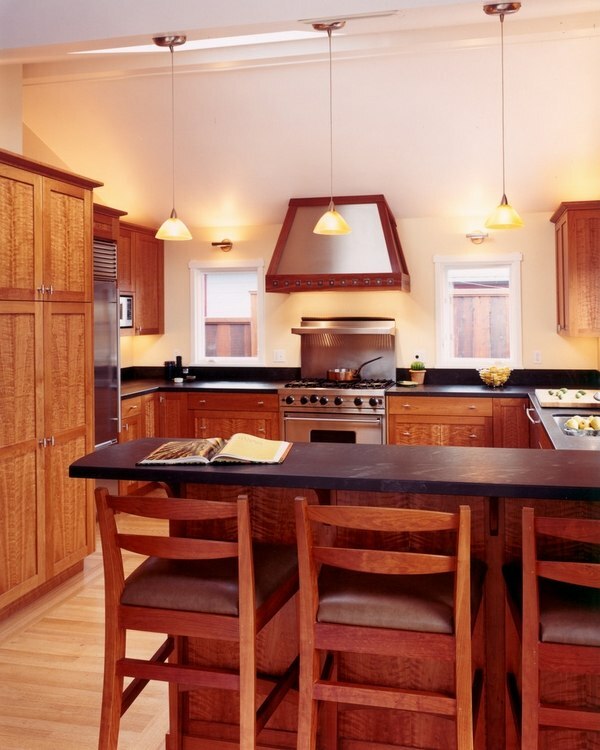 Soapstone countertops look incredible in various design styles. 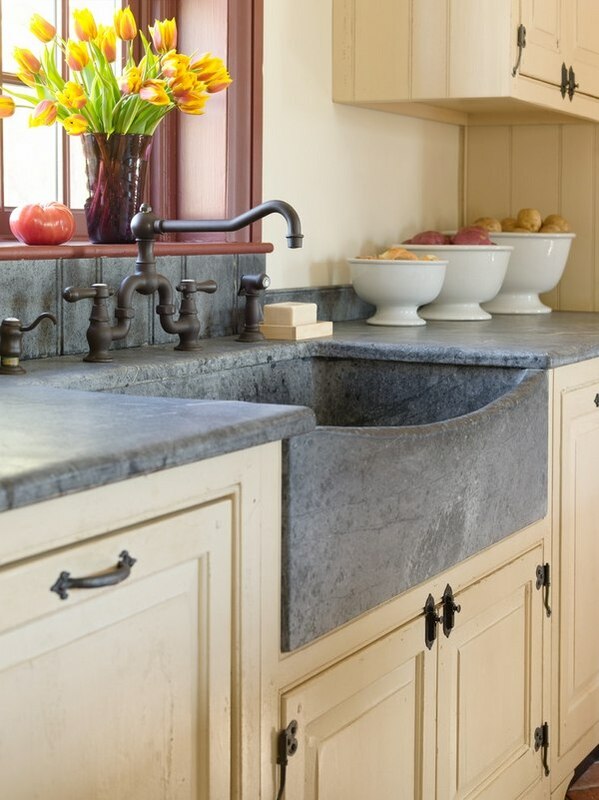 Further to that a soapstone countertop will look great with an integrated sink from the same material. 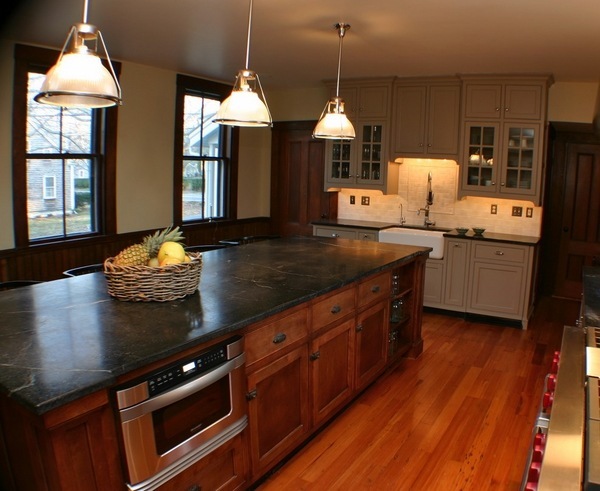 Soapstone is dense and nonporous which makes sure it will not get stained. 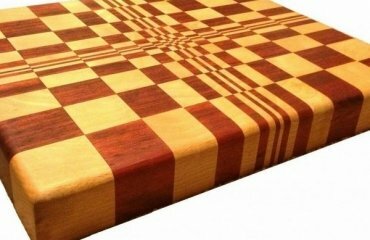 The surface does not absorb moisture either. 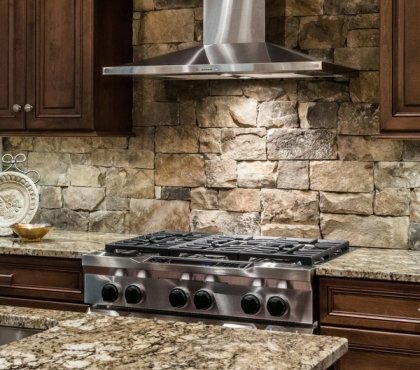 It can stand up to acidic materials and this is one of the main reasons for the popularity of this material in science laboratories. 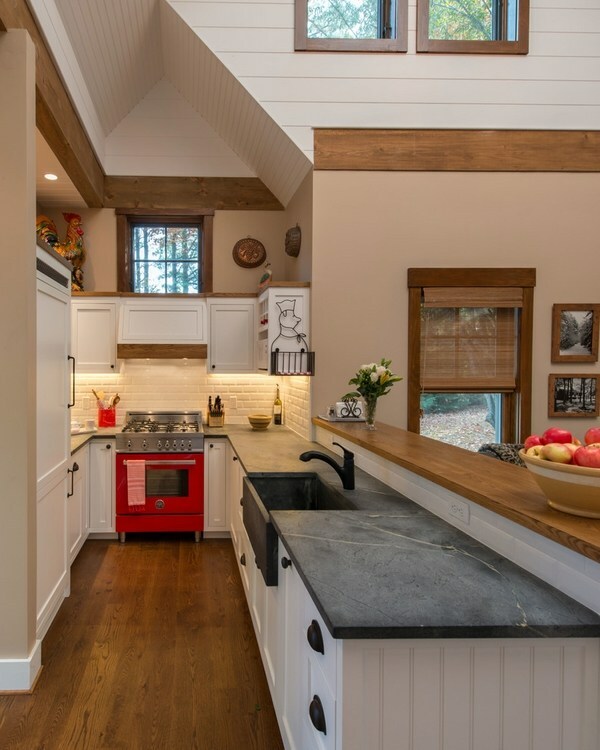 It is not damaged by heat and this means that you will not worry whether you can put hot pans on the surface of the soapstone countertops. 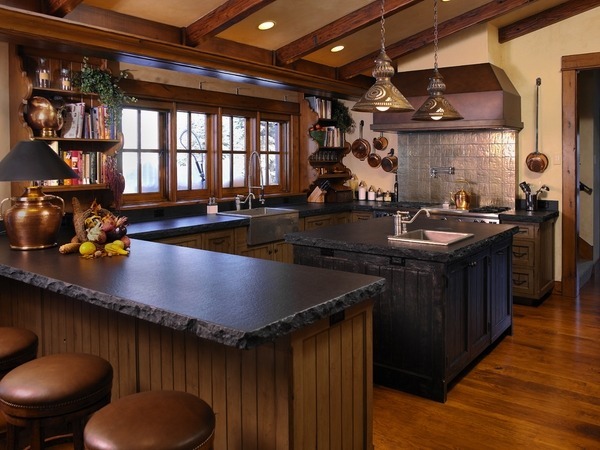 In other words, soapstone is not harmed by hot pots, citrus, wine, acids or chemicals. 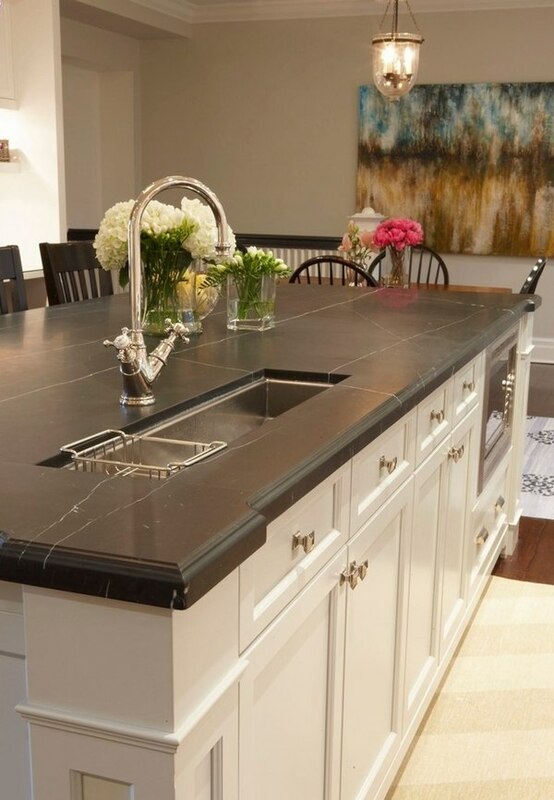 Soapstone countertops are very easy to clean. 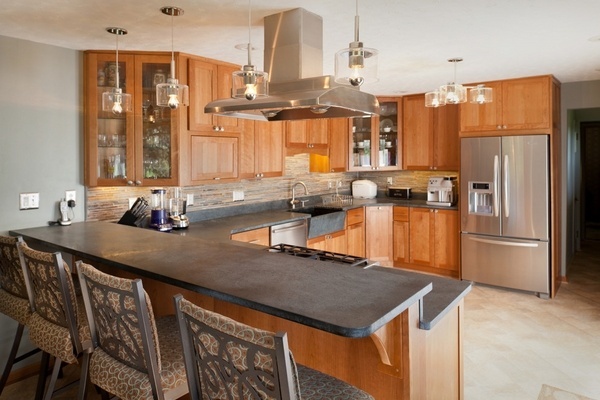 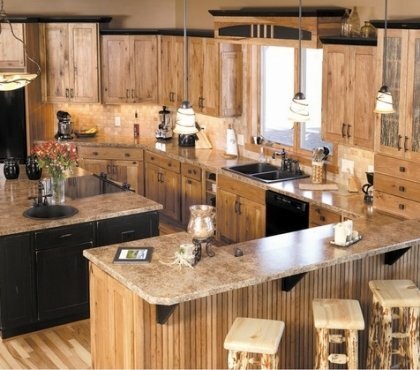 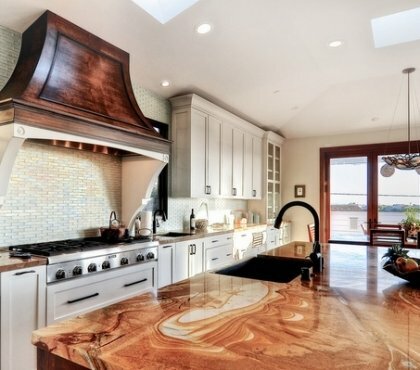 A countertop made of natural stone will become more beautiful over the years. 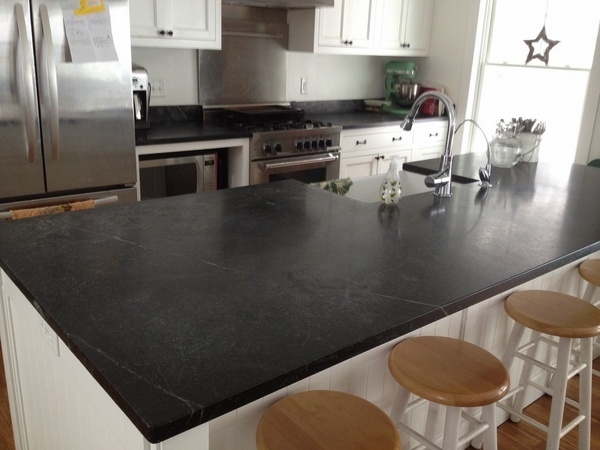 Unlike other stones, soapstone does not need be sealed or impregnated. 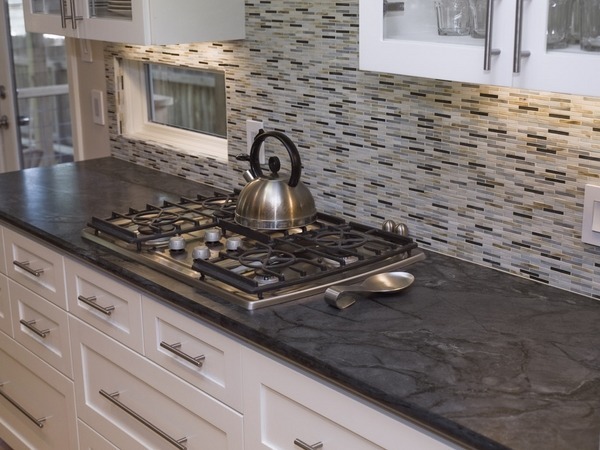 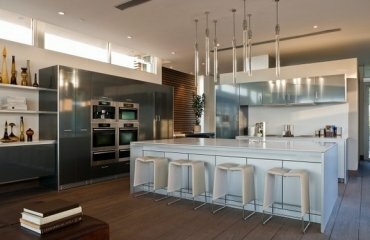 The daily maintenance is as easy as wiping the countertop with a soft cloth dipped in warm water. 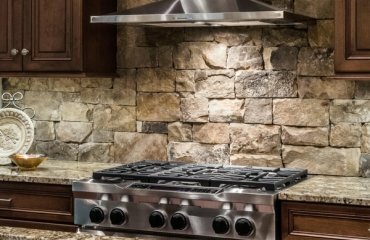 You may treat the surface with a mineral oil to eliminate small defects or scratches and such treatment will only help to preserve the beauty of the stone.